Apex Concerts, Nevada’s finest chamber music series, celebrates its eighth season with Into the Light, featuring the Miró Quartet with Daniel Ching, violin, William Fedkenheueur, violin, John Largess, Viola, and Joshua Gindele, cello. Also on stage will be Jinjoo Cho, violin, Molly Carr, viola, Dmitri Atapine, cello, and Hyeyeon Park, piano. Concert highlights of recent seasons include a highly anticipated and sold out return to Carnegie Hall to perform Beethoven’s complete Opus 59 Quartets; collaborations with award-winning actor Stephen Dillane as part of Lincoln Center’s White Lights Festival; Miró Quartet took first prizes at several national and international competitions including the Banff International String Quartet Competition and the Naumburg Chamber Music Competition. In 2005, the Miró Quartet became the first ensemble ever to be awarded the coveted Avery Fisher Career Grant. Daniel Ching, a founding member of the Miró Quartet, began his violin studies at the age of 3 under tutelage of his father. At age 5, he entered the San Francisco Conservatory Preparatory Division on a full twelve-year scholarship, where he studied violin with Serban Rusu and Zaven Melikian, and chamber music with Susan Bates. At the age of 10, Daniel was first introduced to string quartets.A graduate of the Oberlin Conservatory of Music, Daniel studied violin with Kathleen Winkler, Roland and Almita Vamos, and conducting with Robert Spano and Peter Jaffe. He completed his Masters degree at the Cleveland Institute of Music, where he studied with former Cleveland Quartet violinist Donald Weilerstein. He also studied recording engineering and production with Thomas Knab of Telarc, and subsequently engineered the Miró Quartet’s first promotional disc. Daniel is on faculty at the Sarah and Ernest Butler School of Music at the University of Texas at Austin, where he teaches private violin students and coaches chamber music. He concurrently maintains an active international touring schedule as a member of the Miró Quartet. Daniel is a discerning connoisseur of all things cinematic and electronic. Before he became a busy parent, Daniel was an avid skier and a dedicated reader of science fiction—he looks forward to returning to those passions, some day. In his free time, Daniel enjoys hosting happy hours with friends and lounging at home with his wife Sandy, their two sons, and two cats. 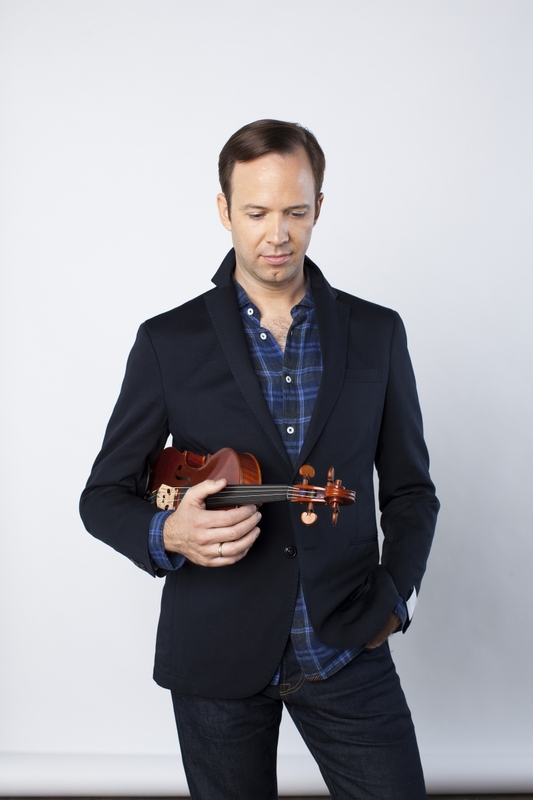 Winner of the Lincoln Center Martin E. Segal Award, violinist William Fedkenheuer has distinguished himself as a versatile artist with international performances as soloist, chamber, and orchestral musician. William’s touring in the United States has included performances at The Chamber Music Society of Lincoln Center, Carnegie Hall Presents, San Francisco Performances, and the National Gallery. Abroad, he has performed at the American Academy in Rome, Fountainbleu, Spoleto Festival of Two Worlds, the Taipei National University of the Arts, and in Austria at the famed Esterhazy Castle for the Haydn Festival in Eisenstadt. Making his solo violin debut with the Calgary Philharmonic in 1994, William went on to receive a Bachelor of Music from Rice University’s Shepherd School of Music under the tutelage of Kathleen Winkler and continued his graduate studies with Miriam Fried at Indiana University with influential summers at Ravinia's Steans Music Institute and the Tanglewood Music Center. From 2000-2006, William was a member of the Borromeo String Quartet and on the faculty of the New England Conservatory of Music in Boston. Most recently, William has served as the first violinist of the Fry Street Quartet and was on the teaching faculty of the Caine College of the Arts at Utah State University. An active hiker and fly-fisherman, William and his wife, violinist Yi Ching Fedkenheuer, have two sons, Max and Olli, and two dogs, Archibald and Lulu. William performs on a bow by Charles Espey and a violin by Peter and Wendy Moes. 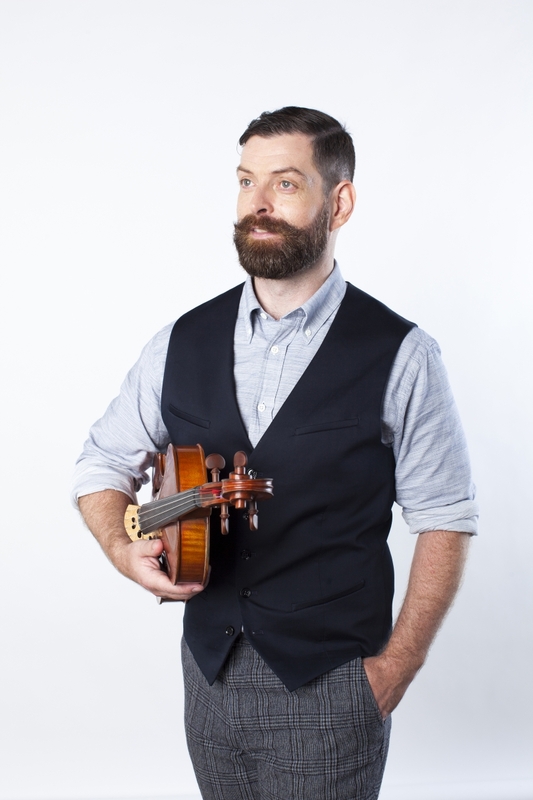 Violist John Largess began his studies in Boston at age 12 in the public schools, studying with Michael Zaretsky of the Boston Symphony, and later as a student of Michael Tree at the Curtis Institute of Music in Philadelphia. In 1995, he graduated from Yale University to join the Colorado String Quartet as interim violist with whom he toured the United States and Canada teaching and concertizing. The following year he was appointed principal violist of the Charleston Symphony Orchestra in South Carolina, a position he held until joining the Miró Quartet in 1997. Also an active speaker and writer about all things chamber-musical, in 2004 Mr. Largess was invited to give a week-long audience lecture series as a part of the Eighth International String Quartet Competition at the Banff Centre for the Arts in Alberta, Canada; he repeated this series in 2007 and again in 2010. With his training in Greek and Latin Literature and his Bachelor’s degree in Archeology from Yale University, as well as studies at the Hebrew University in Israel, he has participated in excavations in Greece, Israel, and Jordan. 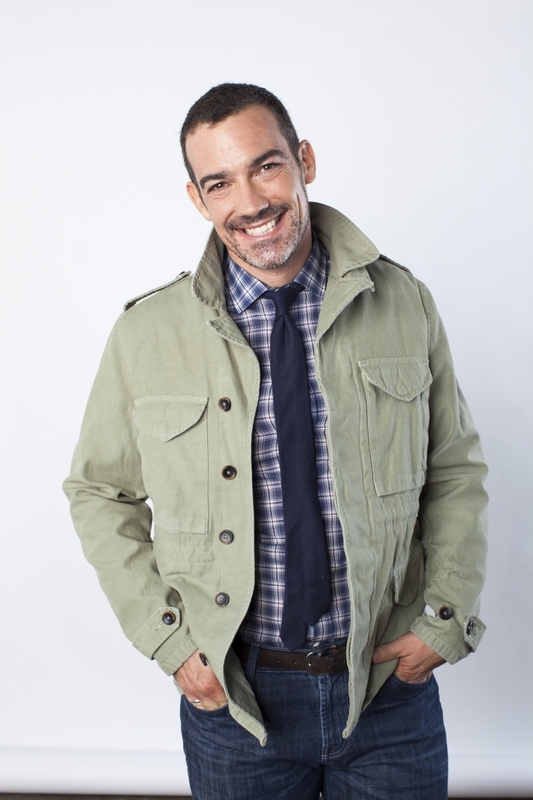 John loves to cook gourmet cuisine,particularly French pastry and fine desserts; luckily, he also enjoys exercising. John is a trained yoga instructor, having studied Vinyasa Power Yoga with Baron Baptiste. He also practices Kundalini, Bikram, and Astanga styles, and teaches yoga at 24 Hour Fitness and the Bodhi Yoga studio in Austin, Texas where he lives. When not standing on his head, he enjoys making his Tibetan Singing Bowl sing. John serves as Senior Lecturer and Coordinator of String Chamber Music at the University of Texas at Austin Butler School of Music. Cellist Joshua Gindele, a founding member of the Miró Quartet, began his cello studies at the age of 3 playing a viola his teacher had fitted with an endpin. As cellist for the Miró, Josh has taken first prizes at several national and international competitions including the Banff International String Quartet Competition and the Naumburg Chamber Music Competition. In 2005, the Miró Quartet became the first ensemble ever to be awarded the coveted Avery Fisher Career Grant. He has shared the stage with some of the classical worlds most renowned artists including Yo-Yo Ma, The New York Philharmonic, Pinchas Zuckerman, Joshua Bell, Midori, Andre Watts and Menahem Pressler. He continues to perform across four continents and on some of the world's most prestigious concert stages. In 2006 Joshua co-founded www.classicallounge.com. This is an online networking site where you can meet musicians, both professional and amateur, discover new talent or get discovered, share music, post and get concert information, share opinions, post classified ads and much more. The site was sold to www.classicalconnection.com in August of 2009. Deeply committed to music education, the Miró is currently the Faculty String Quartetin-Residence at the Sarah and Ernest Butler School of Music at the University of Texas at Austin. An active gym rat and tennis player, Josh and his wife, Rebecca Gindele, have a son and daughter, George and Nora. During the 2015-2016 season, Jinjoo gave her Carnegie Hall Stern Auditorium concerto debut with the New York String Orchestra followed by her Stern Auditorium recital debut. Highlights of the 2017-2018 season are New Year’s concerts with the Deutsche Radio Philharmonie in Saarbrücken, Germany and concerto engagements with the Vermont, Westchester, Ann Arbor, and Anderson symphonies, Gyeonggi Philharmonic in Korea, the Naples Orchestra and the Indianapolis Chamber Orchestra. Jinjoo will appear in recital and chamber music concerts in Dallas, Cleveland, and Omaha, as well as in Korea in Seoul and Gumi at the Gumi Festival. Jinjoo’s biggest passion is arts education and audience engagement. She is the founder of ENCORE Chamber Music, a chamber music program for high school and college students in Cleveland. Additionally, Jinjoo is on the part-time faculty of Oberlin Conservatory and the Cleveland Institute of Music. Another project of hers on the opposite side of the globe is Classical Revolution Korea, where musicians travel all across Korea to give free concerts and meet audiences in cafés. She also writes a column in the Korean performing arts magazine, Auditorium. the Cleveland Institute of Music as a Young Artist Program student. 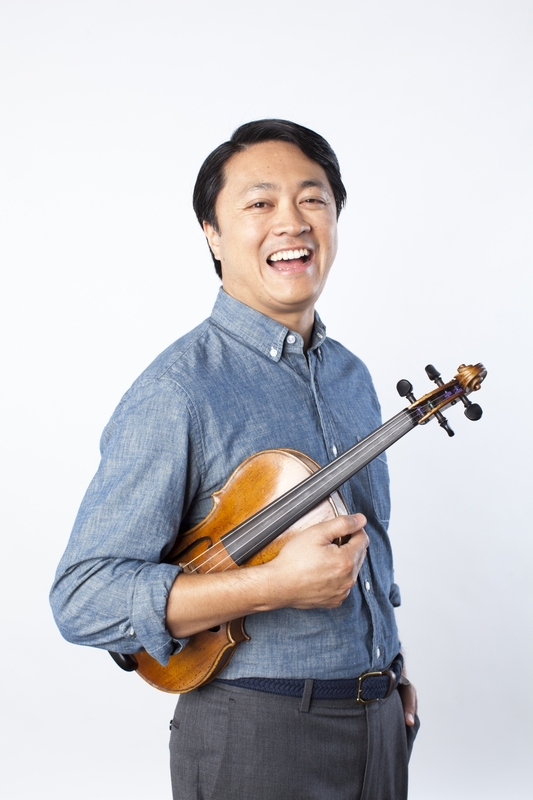 A passionate advocate for community outreach and education, Jinjoo has performed at over 100 venues, giving master classes, presenting showcases, and delivering lecture recitals. Violist Molly Carr, praised for her “ravishing sound” (The Strad) and her “passionate talent and beautiful poise” (AVS), was a top prizewinner in the Primrose International Viola Competition, and as winner of the Juilliard Viola Concerto Competition made her New York Concerto debut with the Juilliard Orchestra under Xian Zhang in Alice Tully Hall. She is the recipient of major prizes and scholarships from Chamber Music America, Pro Musicis Foundation, Davidson Institute, ASTA, ARTS, the Virtu Foundation, and the Juilliard and Manhattan Schools of Music. An avid soloist, recitalist, and chamber musician, Ms. Carr has appeared across the U.S., Canada, Mexico, Europe, the Middle East, and Asia. She has appeared as both performer and teacher in festivals around the world, including the Marlboro Music Festival, Ravinia Festival, Mozartfest, Jerusalem Music Center, Hyderabad SOTA Music Festival, Yellow Barn Music Festival, Music@Menlo, the International Musicians Seminar and Open Chamber Music at Prussia Cove, Malaga Clasica, Bari International Music Festival, Music from Angel Fire, and the Perlman Music Program. 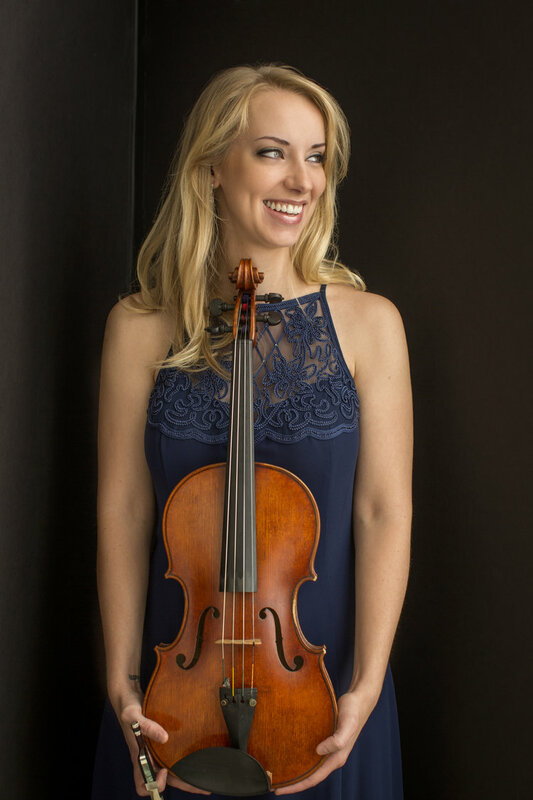 Ms. Carr is a member of the Solera Quartet, the recipient of Chamber Music America's 2018 Guarneri Quartet Residency Award, and the first and only American chamber ensemble chosen for the Pro Musicis International Award. The Solera Quartet will make its Carnegie Hall debut in Fall of 2018. Ms. Carr is also the violist of the viola and piano duo, the Carr-Petrova Duo, and violist of the the clarinet, viola and piano trio, the Iris Trio. She has collaborated with such renowned artists as Itzhak Perlman, Carter Brey, Peter Wiley, Ida Kavafian, Donald and Alisa Weilerstein, Pamela Frank, and the Orion and American Quartets, performing at Carnegie Hall, Lincoln Center, New York’s Metropolitan Museum of Art, Princeton’s McCarter Theatre, Chicago’s Symphony Center, and the Jerusalem Music Center. 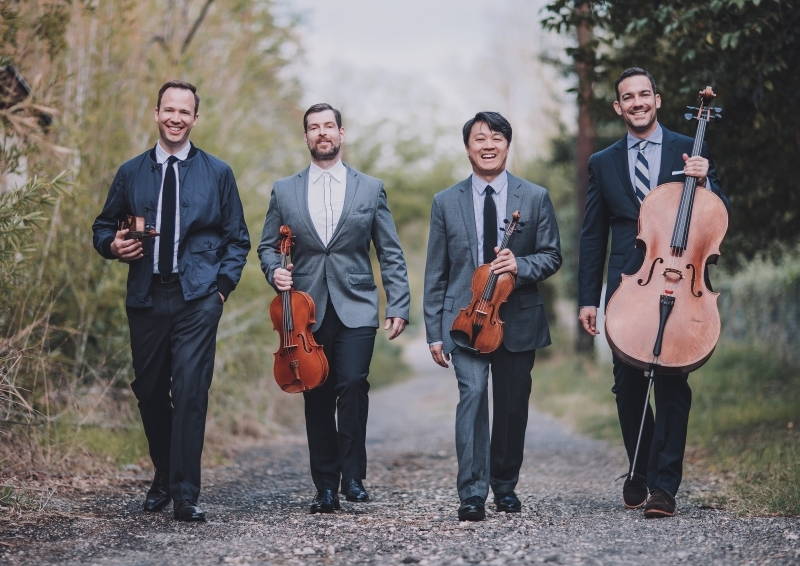 In Fall of 2018, the Solera Quartet, will release its first studio album entitled "Every Moment Present" working with Grammy-winning producer Jesse Lewis. 2019 will see the release of several debut albums: the Carr-Petrova Duo will release its debut album entitled "Novel Voices," the Iris Trio will release its debut album, "Homage and Inspiration," and Ms. Carr will take part in the launch of a multi-album recording project with Enescu Competition Grand Prize Winner, Josu de Solaun, recording the piano and string chamber music of George Enescu. Ms. Carr also recorded the Viola Sonata and early chamber works of Jennifer Hidgon on the NAXOS label in 2012. Ms. Carr is on the Viola Faculties of both the Juilliard School's Precollege Program and the Alberto Jonas International School of Music in Valencia, Spain, and is also the Founding Director for Project: Music Heals Us, a non-profit which brings free chamber music performances and interactive programming to marginalized populations with limited ability to access the Arts themselves. She holds a B.M. and M.M. from the Juilliard School, having studied with Heidi Castleman, Steven Tenenbom, and Pinchas Zukerman. Dmitri Atapine has been described as a cellist with "brilliant technical chops" (Gramophone), whose playing is "highly impressive throughout" (The Strad.) As a soloist and recitalist, he has appeared on some of the world's foremost stages, including Alice Tully Hall at Lincoln Center, Zankel and Weill halls at Carnegie Hall, Chicago Cultural Center, and the National Auditorium of Spain. An avid chamber musician, he has appeared with The Chamber Music Society of Lincoln Center and his frequent festival appearances have included Music@Menlo, La Musica Sarasota, Nevada Chamber Music Festival, Cactus Pear Music Festival, Pacific Music Festival, Aldeburgh Festival, and Aix-en-Provence Festival, with performances broadcast on radio and television in Spain, Italy, the United States, Canada, Mexico, and South Korea. His multiple awards include top prizes at the Carlos Prieto International, the Florian Ocampo, and the Llanes cello competitions, as well as the Plowman, New England, and Premio Vittorio Gui chamber competitions. His recent engagements have included collaborations with such distinguished musicians as Cho-Liang Lin, Paul Neubauer, Ani and Ida Kavafian, Wu Han, Bruno Giuranna, David Shifrin, and the St. Lawrence String Quartet. His recordings, among them a world premiere of Lowell Liebermann's complete works for cello and piano, can be found on the Naxos, Albany, MSR, Urtext Digital, BlueGriffin and Bridge record labels. Mr. Atapine holds the doctorate degree from Yale School of Music, where he was a student of Aldo Parisot. Born into a family of musicians, his teachers have included Alexander Fedortchenko and Suren Bagratuni. 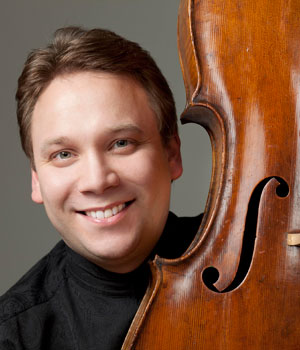 The Artistic Director of Ribadesella Chamber Music Festival and Apex Concerts, he is the cello professor at the University of Nevada, Reno and is a member of The Chamber Music Society of Lincoln Center's CMS Two program. Selected as a ‘2012 Artist of the Year’ by Seoul Art Center, pianist Hyeyeon Park has been described as a pianist ‘with power, precision and tremendous glee’ (Gramophone). Praised for her “very sensitive” (Washington Post) and “highly nuanced” playing (Lucid Culture), she has appeared as soloist and chamber musician on major concert stages throughout the United States, Canada, Germany, Austria, Italy, Spain, Japan and her native Korea. Since making her debut at the age of ten performing Beethoven’s First Piano Concerto with Seoul Symphony Orchestra, Ms. Park has been a soloist with Seoul Philharmonic, KNUA Chamber Orchestra, Gangnam Symphony Orchestra and Incheon Philharmonic to name a few. Her recent concerts have been presented at the Dame Myra Hess Recital Series in Chicago, the Trinity Wall Street Series in NYC, Philips Collection in Washington DC among others, leading her to venues such as Zankel Hall at Carnegie Hall, Merkin Recital Hall, Kennedy Center and Seoul Art Center, to name a few. Selected as “The Most Promising Young Artist” by Korean Ministry of Education, after winning the first prize at Chosun National Competition, Ms. Park garnered top prizes in numerous international competitions as well, including Oberlin International Piano Competition, Ettlingen International Piano Competition (Germany), Hugo Kauder International Piano Competition, Maria Canals International Piano Competition (Spain), Prix Amadeo International Piano Competition (Germany), and Corpus Christi International Music Competition. Her performances have been broadcast on KBS and EBS television in Korea, RAI3 (Italy), WQXR (New York), WFMT (Chicago), WBJC (Baltimore), WETA (Washington DC), radio and channel LOOP in the States. 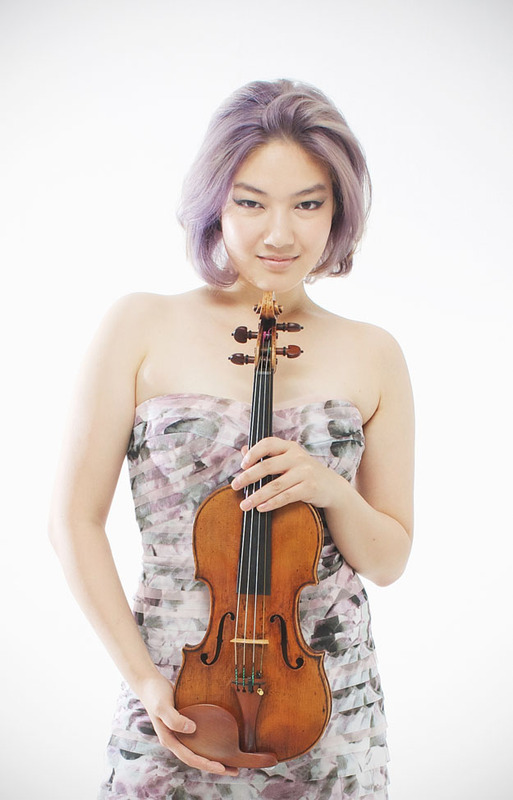 An avid chamber musician, Ms. Park has collaborated with such luminaries as David Shifrin, Ani Kavarian, Ida Kavafian, Paul Neubauer, Toby Appel, and Derek Han and many others appearing at Yellow Barn Festival, Santander Music Festival (Spain), Music@Menlo Festival and Chamber Music Northwest. She is the founding member of Atapine-Park duo and Atria Ensemble, groups that respectively won the prizes at Premio Vittorio Gui International Chamber Music Competition (Italy) and Plowman Chamber Music Competition. Her duo recordings for cello and piano with cellist Dmitri Atapine were distributed by Naxos to great critical acclaim. An advocate of new music, as a passionate musician who pursued career as a composer as well, Ms. Park enjoys working closely with the living composers, recently premiering a work by Patrick Castillo, and soon to collaborate on a project with Ezra Laderman. 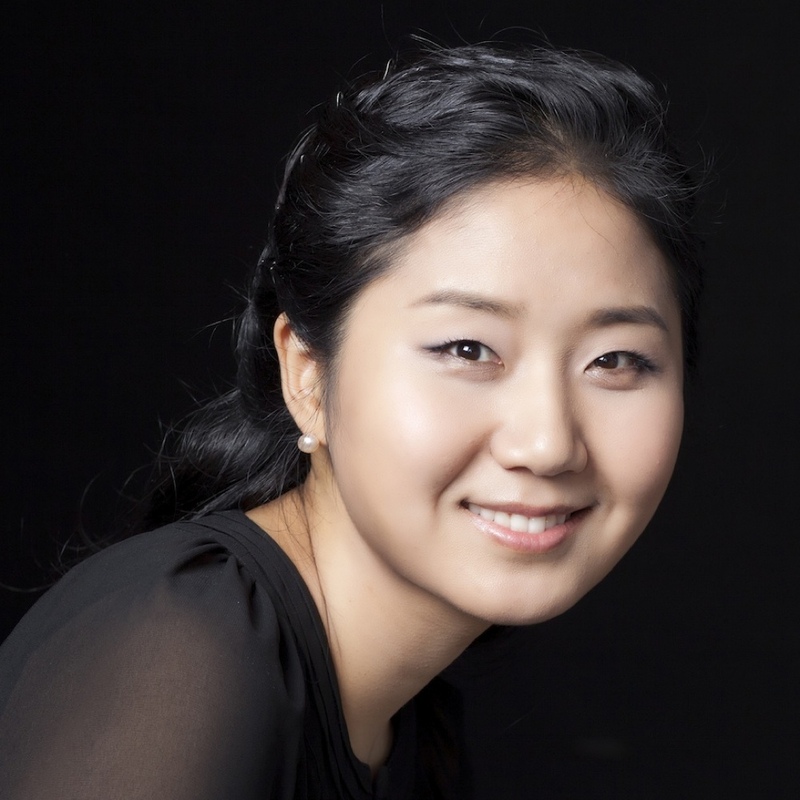 Ms. Park holds a Bachelor of Music degree at Korean National University with Prof. Daejin Kim, a Master of Music degree from Yale School of Music with Prof. Peter Frankl and a Doctor of Musical Arts degree from Peabody Conservatory with Prof. Yong Hi Moon. The co-artistic director of Apex Concerts, Ms. Park is the piano professor at the University of Nevada, Reno and co-directs Apex Concerts at UNR. She can be heard on Blue Griffin, Urtext Digital, HM and Naxos labels. Buy tickets online, print your tickets at home, or have them waiting at Will Call. All Concerts: Adult $35; Student $5. Individual Tickets and Season Tickets are available. Follow Apex Concerts on facebook.